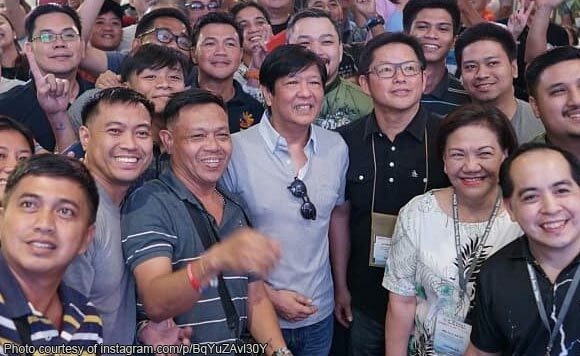 Alas, another contest not mean to be won by former Senator Ferdinand “Bongbong” Marcos Jr. The Ilocano politiko recently joined his fellow gun enthusiasts from the Association of Firearms and Ammunition Dealers of the Philippines Defense and Sporting Arms Show. Marcos joined the magazine loading contest, but only came second to Jet Dionisio. “I even came second to Jet Dionisio in the magazine loading contest I joined. I could never beat Jet at shooting, now not even at reloading!” said Marcos. “Thank you Jet and the AFAD board for your invitation! I enjoyed once again spending time with my fellow shooters!” he added. Sanay na sanay na sa second place! I happily had a chance recently to join my fellow enthusiasts of the Association of Firearms and Ammunition Dealers of the Philippines (AFAD) Defense and Sporting Arms Show. I even came second to Jet Dionisio in the magazine loading contest I joined. I could never beat Jet at shooting, now not even at reloading! Thank you Jet and the AFAD board for your invitation! I enjoyed once again spending time with my fellow shooters!